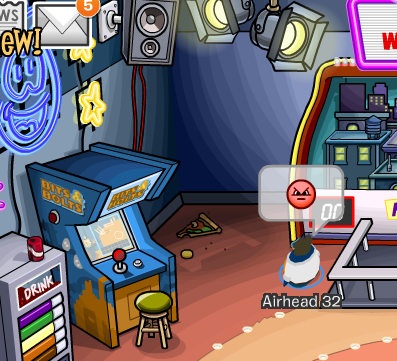 Many penguins were talking about a arcade machine being stolen so I wen't to go see for myself. They were RIGHT! Who do you think could have stole the machine? Maybe Rookie did something to it. Hopefully we find out who did it. Be sure to keep an eye out for any clues Club Penguin adds.